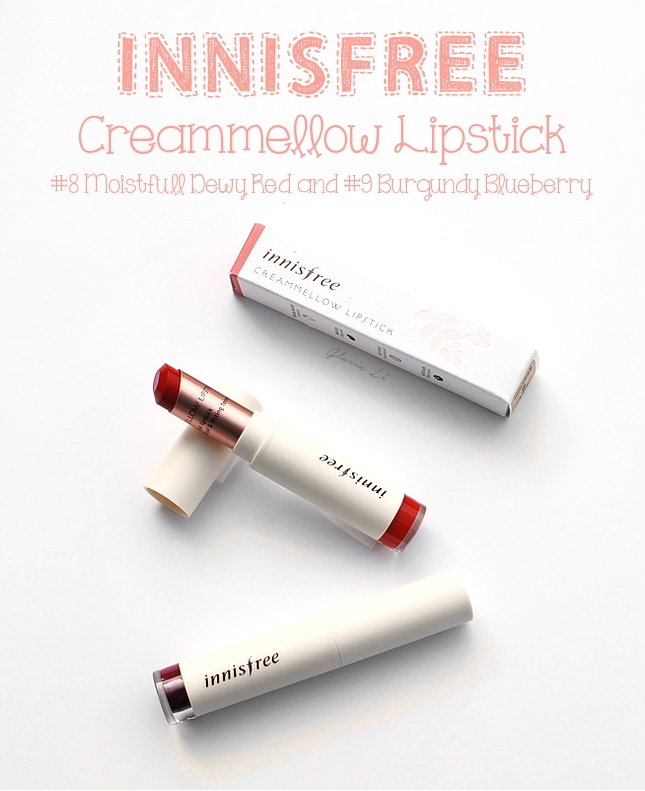 Like most Innisfree products, the lipsticks came in a recyclable white box that's printed with soy ink. The only difference is that the bottom of the box and the leaves on the box are pink instead of the usual brown. The packaging for the Creammellow Lipsticks are very similar to the Color Glow Lipsticks from last year, save for the metal tube around the lipstick which is rose gold instead of silver. Personally I think rose gold is prettier than silver, so I like the change. 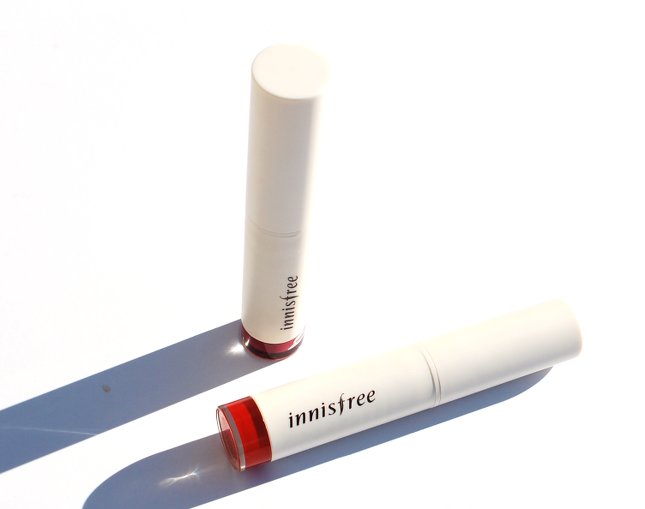 The external packaging is the usual matte white with the color band (indicating the lipstick shade) at the bottom. It's light but sturdy, and I haven't had a problem with it getting dirty yet despite the white packaging. 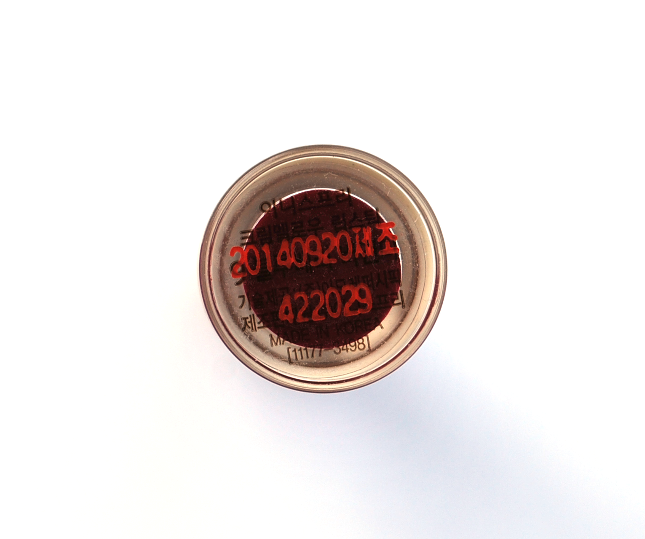 At the bottom of the lipstick you'll find the shade name and number, and the manufacture date. Here is the bullet of the lipstick. I found that the shape disappears in just 1-2 swipes, and the bullet has a smooth surface afterwards. It says "A rich essential lipstick with camellia oil & fitting formula" on the tube. Can you see the oil-like sheen the lipstick has? I think that's the camellia oil. It's not very oily, but the first time I twisted the lipstick up and down there was a bit of oil on the tube (look at the right picture of the bullet to see). 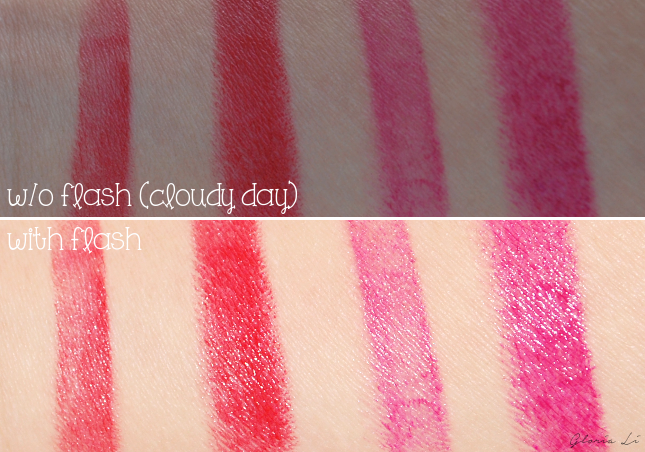 The Creammellow Lipsticks have a extremely faint, fruity scent. It's almost unnoticeable unless you lean in really close to the point where your nose is almost touching the lipstick. This is good for people who are sensitive to scents, since you won't smell anything during and after applying it. For the swatches above I swiped it once for the first swatch and 3 times for the second one for each shade. As you can see, the color is buildable and can get pretty close to being opaque. I find the shades to be almost exactly the same as the official swatches from Innisfree, so they're pretty true to color! No. 8 is a bright blue-toned red color that's perfect for gradient lips and full lips, which is suitable for a sexier, more mature look. I've been using this color almost daily for gradient lips since it's easy to apply and has a very pretty finish. No. 9 is a plum-burgundy color that's perfect for fall. It's my first time trying a shade like this but I quite like it! Although this works for both gradient lips and full lips, I personally prefer using this all over my lips by applying a thin layer just enough for a touch of color, but not to the point where the color is almost opaque. Can you see how moisturizing they look? The Creammellow Lipstick has a glossy (but not overly so) finish, although the glossiness does fade after awhile. I haven't had any problems with the lipstick sinking into lip lines, and they aren't drying at all. They're moisturizing and pretty pigmented, considering how well the color shows up on my pigmented lips. These lipsticks have a creamy texture that glides on effortlessly. They don't accentuate dry patches at all. The only bad thing about them is that they transfer easily, but that was expected since they have a moisturizing formula. I really like these lipsticks! 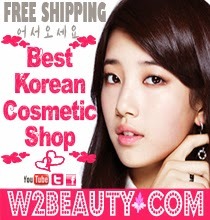 Not only are they pigmented, creamy, and moisturizing, the price is quite reasonable too. For 12,000원 I would say these are a steal, considering how nice the quality is. The wear time is average, but I don't mind since I'd rather have moisturize lips than dry lips with color that stays throughout a meal.I'm actually considering getting another one of the these in a different shade, since I really like the formula. Get yours here at Jolse for $12.98 $11.68. Right now Jolse is having a special sale where everything in their shop is 10% off, so make sure to take advantage of that discount before it ends on December 25th! 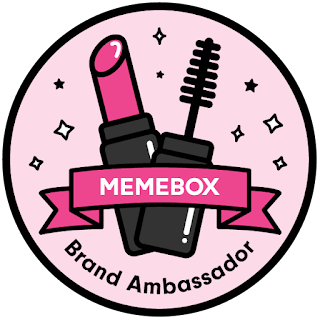 Have you guys tried this lipstick before? Which shade did you try if you did (or would like to try if you didn't)? Oh! And did anyone see the new Innisfree 2014 Holiday collection? I'm kind of disappointed in the packaging for this years but the candles/diffusers look nice! Are you guys planning on getting from that collection? I ordered No. 8 and !0 and I'm looking forward to get them. I love the color glow lipstick from Innisfree. I am in love with #8! Ooh I was considering getting 10, so I'll be looking forward to your review! I heard so many praises for the Color Glow Lipstick last year but for some reason I never bought them. I haven't tried any of these, but I've seen a few reviews mentioning #8 and it looks SO PRETTY! The perfect holiday red. 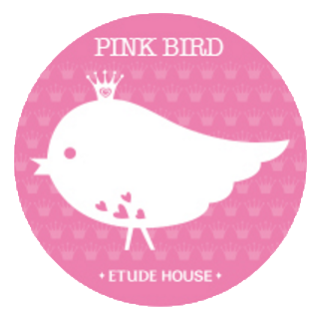 new follower..^^ mind to follow my blog too? nice to meet you..
Love LOVE the shade of number 9! I've been wanting to buy some of these but I wanted an even deeper shade than shade 9! I want a berry red shade! I love the sound of the creamy formula though!